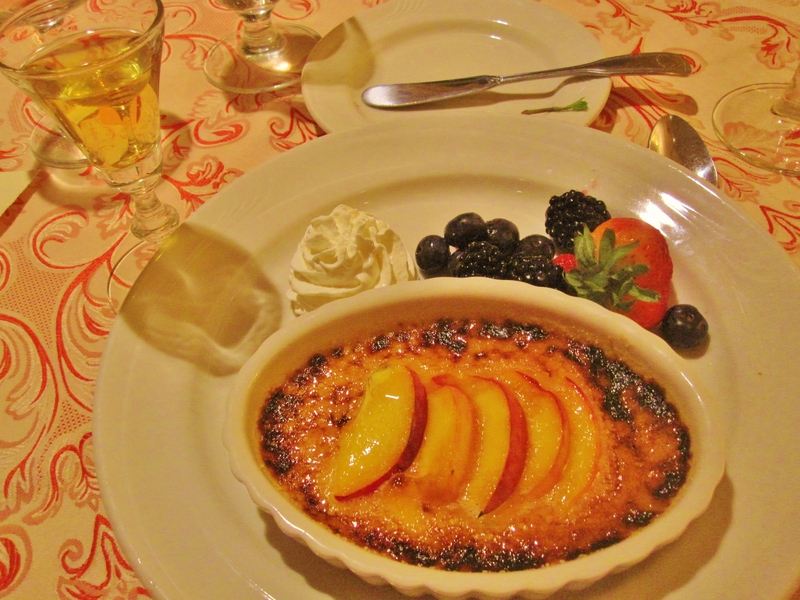 I arrived at the King and Prince Resort on St. Simons (off the coast of Georgia) knowing that I would be participating in a Southern Culinary Showcase, but I had no idea they would put on such a performance the first night. I actually contributed to the meal – I sautéed the shrimp and prepared the pork, tomato, and corn gravy to accompany the grits. In the past, grits was a dish that reminded me of something served at a bad diner, dry and bland, but when the chef passed me the heavy cream, I knew we were officially in the south. The brand new Executive Chef Jeff Kaplan (he’s been on the island for ten days) and his crew allowed me to have some fun flipping the shrimp, but eventually it was time for me to step aside, let them do their thing. 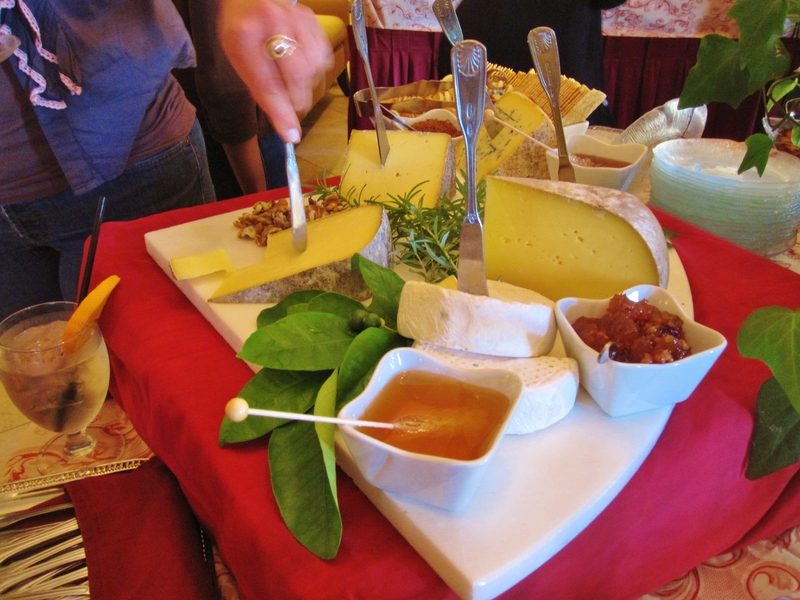 As the courses began to roll out of the kitchen, I was more than happy to get my tail back to the table. 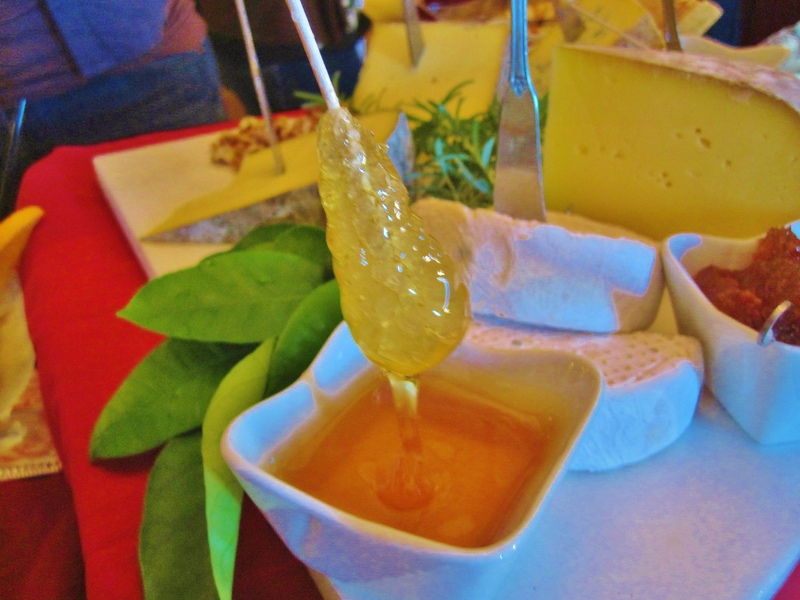 We started with a spread of Artisan cheeses from Sweet Grass Dairy (Thomasville, GA), paired ridiculously well with local honeys and jams – you can’t really beat a well-thought sweet/salt combo (more info and photos to come… I am going to attend a honey tasting later in the trip). 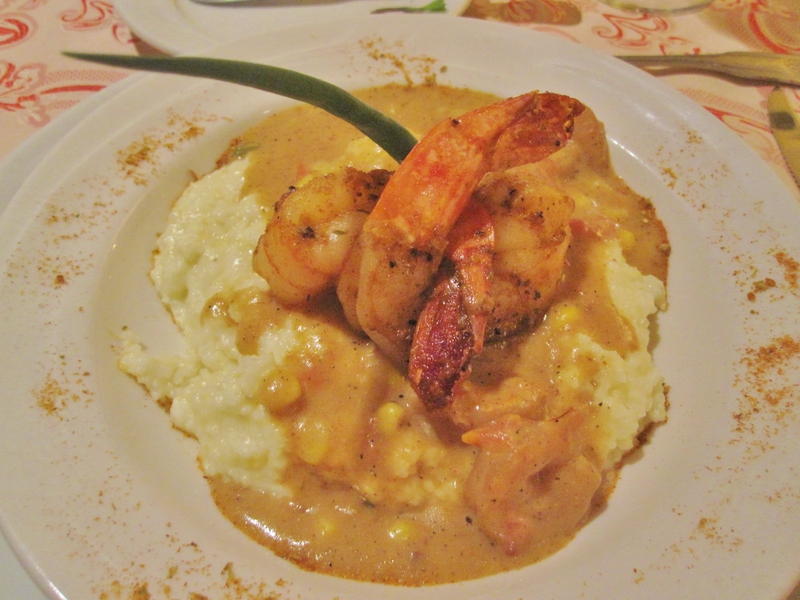 The main course of shrimp and grits was easily the best version I’ve ever had – it was creamy and the Georgia shrimp are naturally sweet (noticeably so compared to shrimp from other regions… more to come on this later as well). 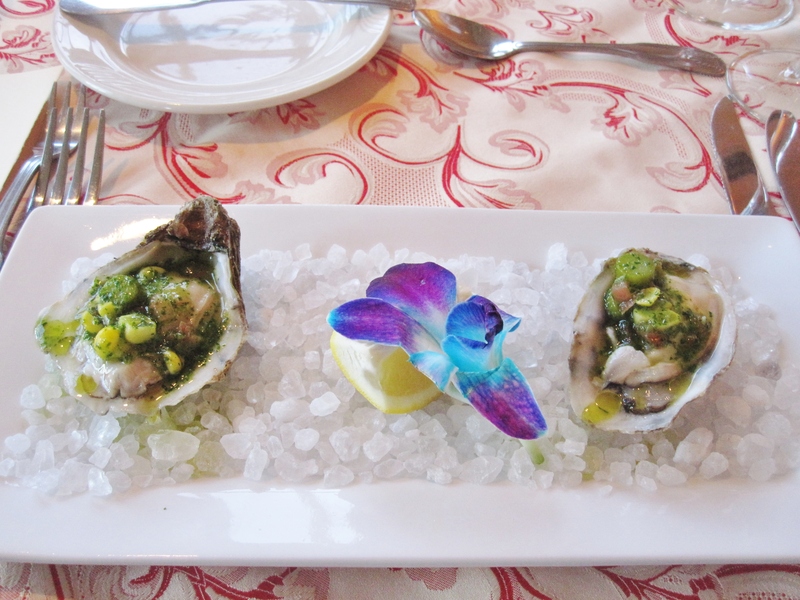 The first course of fresh oysters stole the show in terms of creativity – they were served with sweet corn and asparagus. 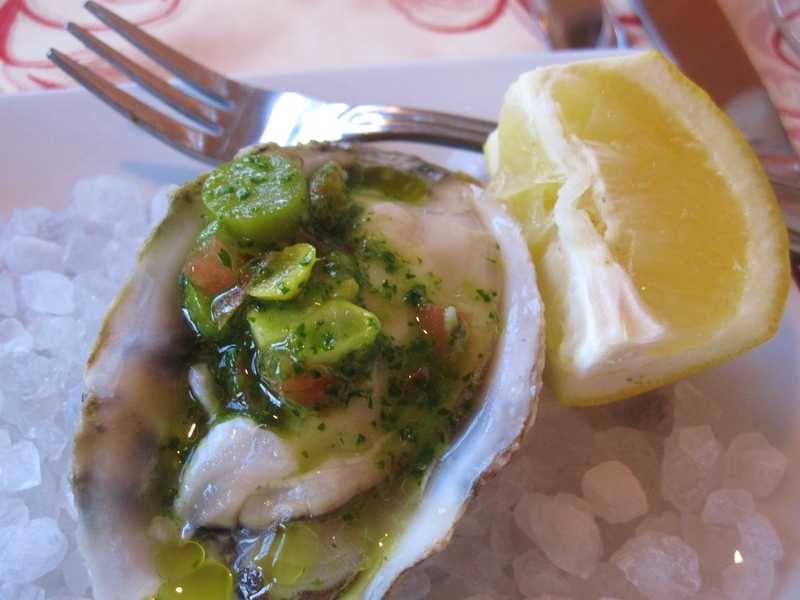 Again, the traditional salty-sea taste of the oysters combined with the burst of sweetness in the corn jumped off my palate, and the crunch of the asparagus provided the texture (a good way for first timers to get over the “sliminess” of oysters). One of the great things I’m realizing about Georgia is the pleasant balance in its signature fare. For every Southern-style comfort dish with heavy cream, there’s a piece of fish or a fresh peach providing a light complement/alternative. Had I been in a room by myself, my tongue would have been on the dish. Apalachicola oysters with sweet corn, asparagus, tomato, cilantro vinaigrette. 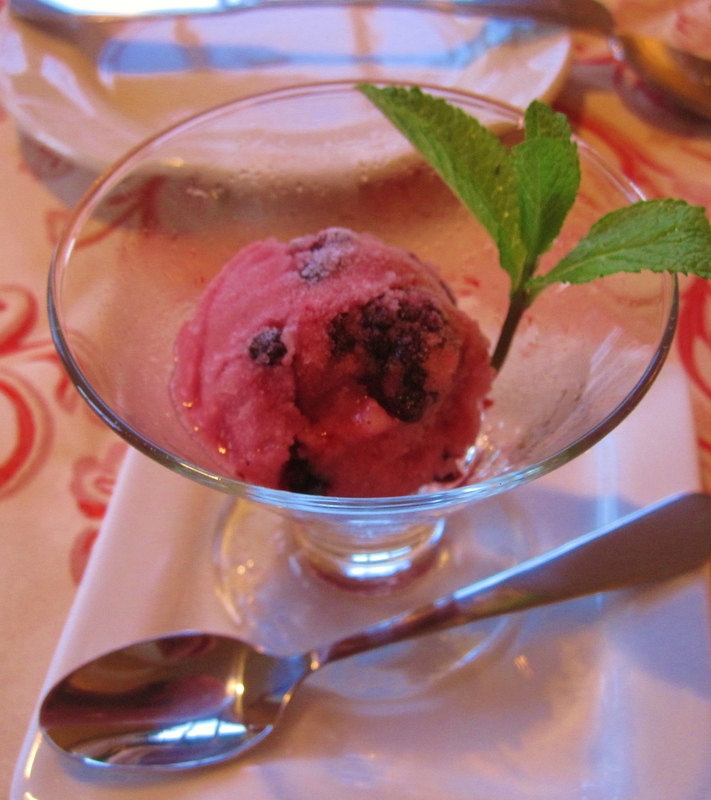 Blackberry sorbet with blackberry liqueur (palate cleanser). 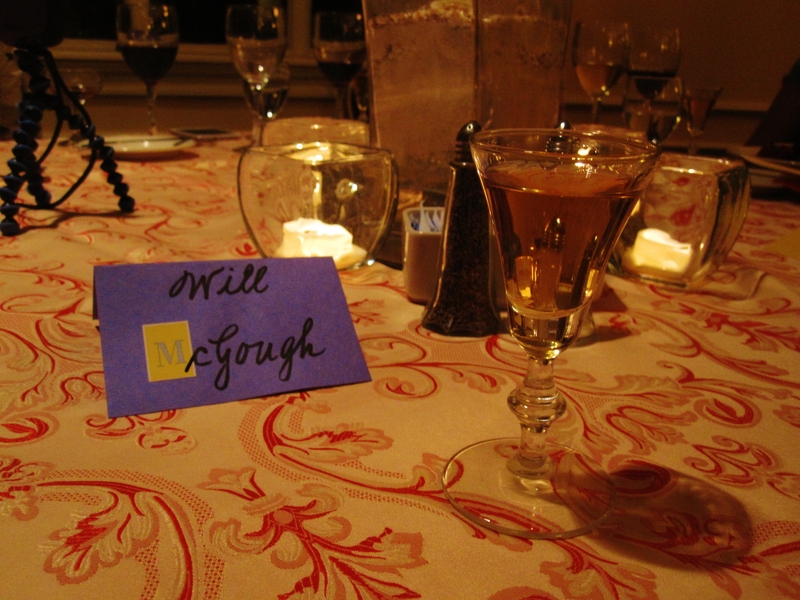 You were an amazing chef Will. I don’t think I could take you on when it comes to cooking…in case you were wondering. Chef Will, thanks for getting things started at The King and Prince that first night by helping create that awesome southern dish of Shrimp and Grits!